It was General Dynamics (Convair Division) determination to break into the burgeoning late 1950's world market for first generation civil jetliners which saw both the CV880 & CV990 produced. Desperation to succeed within the lucrative civil aviation market also lured this respected aerospace manufacturer into one of the greatest financial losses in US corporate history. From the outset of its jetliner project, Convair correctly recognised existence of a "Niche Market" for high speed luxury air travel .... PAX willing to pay higher premiums for the benefit of reduced travelling time (as Concorde proved more than a decade later) and airlines willing to cater accordingly in order to gain advantages over their competitors. Despite already having sustained significant losses through the CV880's lack of appeal among airlines of the world, Convair rather than cutting its losses at this early stage, was determined to try to make the aircraft more competitive. Greater power, speed, range, and capacity were all logical solutions .... from which a markedly different aircraft began to evolve. This new aircraft was launched during 1958 under the "MODEL 30" type designation though initially it seemed to suffer a similar identity crisis to that which originally afflicted the CV880 .... being first redesignated "CONVAIR 600" (also once applied to the 880), then "MODEL 990" (recognising the aircrafts projected speed in feet per second), and finally "CORONADO" (in honour of General Dynamics/Convair San Diego abode/hometown). World civil aviation would ultimately come to know the new jetliner as "CV990". Intended as a luxury high-speed transcontinental aircraft to challenge both B707 & DC8, the CV990 retained the CV880's narrow fuselage diameter but featured a 114in fuselage stretch, increasing capacity to between 122-137 PAX (depending on airline configuration). In later years PAX accomodation was further increased without sacrificing legroom through the installation of redesigned seats. The new aircrafts wingspan remained the same as that of the CV880 but comprised of slightly greater area. Much higher anticipated cruising speeds required area ruling concepts being applied to the wing design which were manifested in the form of 2 raised cones/anti shock bodies located along the upper trailing edges of both main aerofoil surfaces. These devices also additionally served as integral fuel tanks and became a major distinguishing feature of the CV990. To contend with higher operating weights the aircraft featured a strengthened landing gear. It also became the first civil jetliner to be equipped with a Proportional Anti-Skid Braking System. General Electric (considered some 2 years in advance of competing jet engine development) once again became the engine of choice for the CV990, this time utilising revolutionary new fanjet technology of much superior performance, economy, and environmental acceptability. The aircrafts new Aft-Fan fanjet powerplants represented a ducted fan type upgrade of the CV880's GE CJ805 series turbojets with the fan located at the rear rather than forward end of the engine. This configuration (among other enhancements) promoted some 40% greater power for 10-15% less fuel burn. Eager to inaugurate high speed transcontinental services up to 1 hour faster than its opposition, American Airlines became launch customer for the CV990 during August 1958 with an order for 25 aircraft. The first overseas orders for the new jetliner came from SAS, and Swissair. Both Continental Airlines, and Pan American World Airways initially fostered interest in the CV990, but, eventually committed to B720's. Early KLM, and TCA enthusiuasm also similarly evaporated in favor of DC8's. A Howard HUGHES/Toolco order for 13 CV990's lapsed and was eventually cancelled, whilst VARIG Brasilian Airlines reluctantly inherited a REAL Aerovias order for 3 CV990's. By 1961 American, SAS, Swissair, and VARIG were Convair's only confirmed CV990 clients for a total of just 37 airframes. SAS later cancelled in favour of a leasing 2 aircraft from Swissair. 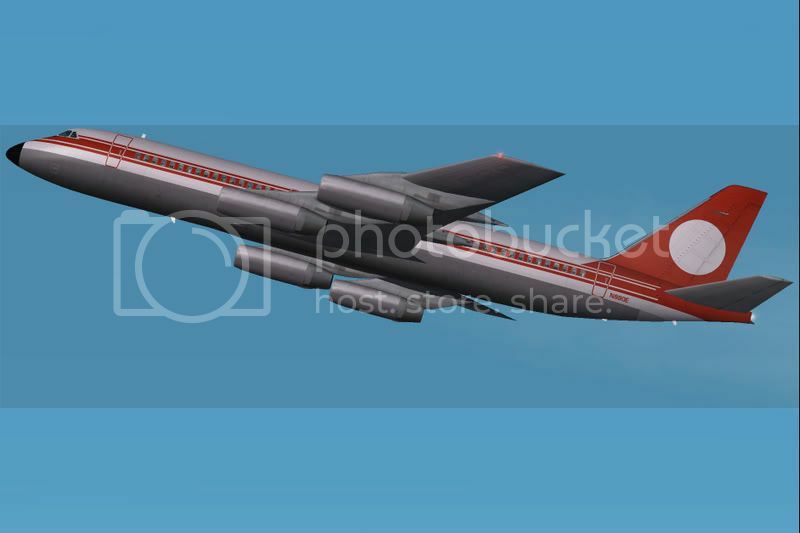 Indeed history seemed to be repeating itself .... only this time Convair's "Niche Market" for high speed luxury jetliners was eroding even before the first aircraft had ever flown. CV990 "Ship One", N5601, was rolled-out at San Diego Lindbergh Field on November 23rd 1960 and first flew on January 24th 1961. During test flying and the gradual work-up to full speed .... a garunteed 635mph .... problems resulting from excessive drag became apparent. At high speed the aircrafts elevators also lacked effectiveness, and its outboard engine pylons vibrated alarmingly .... restricting maximum cruising speed to 580mph .... some 55mph less than Convair's garunteed performance. "Ship One" then underwent 6 weeks of modifications which resulted in its outboard engine pylons being shortened by 18in, and new slats being fitted, in attempt to resolve these initial problems. During this period "Ship Two" continued ground and systems testing in support of the certification process. A modified "Ship One" took to the sky again during April 1961 and was successfully flown at Mach 0.97 without reocurrence of any of the original problems, however, further airframe enhancement was still necessary and resulted in alterations to the rear of each of the aircrafts 4 engine nacelles, along with new Kruger Flaps, new wing leading edges, and revised wing/fuselage fillet panels all being fitted. Despite these modifications and subsequent performance gains it became obvious the CV990's high cruising speed could only be attained at the undesirable expence of excessive fuel burn .... reducing both the aircrafts profitability, range, and subsequently its appeal to most airlines. FAA certification for the "CV990" was approved on December 15th 1961, followed by approval for the modified "CV990-A" on October 10th 1962. Aircraft upgraded to "A" specification had a garunteed maximum speed of 621mph .... still 14mph short of Convair's original intended performance, but, sufficient to promote the CV990 as "the worlds fastest jetliner". By the time production of all 37 airframes was complete, only 9 aircraft were built to pure CV990-A specification. The original 28 airframes were all upgraded between 1962 and 1964 whilst in-service and at Convair expence. All CV990-A's had a fuselage length of 134ft 9in with a cross-section diameter of 11ft 6in, and wingspan of 120ft. 3 sub versions of the CV990-A were built .... the model 30A-5, A-6, and A-8. Most varied slightly in fuel capacity, engine model, and certified MTOW in accordance with airline preferences. Both the CV990-30A5 and -A8 were powered by 4 GE CJ-805-23 Aft-Fan fanjet engines rated at 15,850lb/st e/a and certified for a MTOW of 239,200lbs, whilst the CV990-30A6 was powered by GE CJ805-23B Aft-Fan fanjet engines rated at 16,050lb/st e/a and approved a MTOW of 244,200lbs. The CV990-30A8 differed only in marginally greater fuel capacity. All versions had a range of some 3,200nm to 3,595nm depending on payload and reserves. By early 1962 the first CV990 had still to be delivered. With aircraft failing to meet original performance garuntees, long delays resolving defficiencies, and much higher than anticipated operating costs, significant harm had by this time been done to the entire project .... to the extent that B707 & DC8 jetliners became even more firmly established among airlines of the world as all but those 4 major carriers with confirmed CV990 orders began avoiding the new Convair jetliner completly. When American Airlines ordered CV990's during 1958, it intended utilizing these aircraft on high speed non-stop transcontinental/coast-to-coast "Blue Streak" services across the USA. The aircrafts failure to meet both speed and range expectations forced abandonment of these plans along with a revised purchase agreement (reduced to 20 aircraft), compensation for the airline, and right to abandon the contract completly should Convair be unable to modify the CV990 by mid 1963 to meet a minimum cruising speed of 620mph. These conditions eventually being met all 20 aircraft were delivered to American between January 7th 1962 and early 1963. Only the airlines last 5 aircraft were delivered as CV990-A's whilst its first 15 were progressively upgraded to "A" specification on-the-line and by late 1964. Instead of operating the transcontinental services for which they had been intended, American's CV990's were relegated to medium haul routes across the USA. Originally configured for 99 PAX in a dual First/Economy Class cabin, capacity was later revised to 101 PAX. 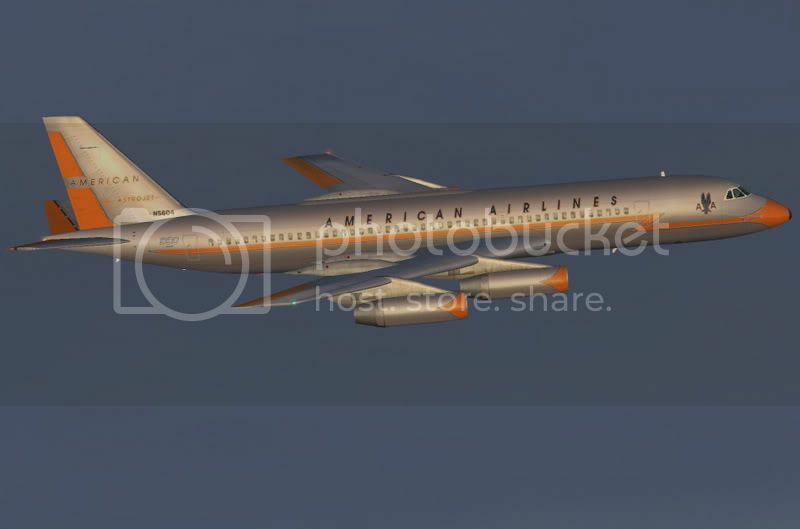 American began disposing of its CV990 fleet from 1965, though the type remained in service with the airline until 1968 as aircraft were sold or leased to other operators. Despite never fulfilling original service ambitions these aircraft none-the-less provided 6 years of stirling service to the airline .... even so American CEO C.R.SMITH is much later reputed to have stated "my only bad equipment decisions were the CV990 and BAC 1-11". Financial difficulties rather than concern regarding the CV990's performance defficiencies was the reason for SAS cancelling its 2 aircraft order. The airline instead negotiated leasing 2 CV990's from Swissair. Both aircraft were delivered to the airline from the Convair/San Diego production line and in definitive SAS livery on February 23rd and April 10th 1962. These operated the airlines Copenhagen/Tokyo services with dual First/Economy class acommodation for 129 PAX until March 27th 1966. A co-operation agreement with Thai Airways International also saw SAS CV990-A SE-DAZ "Ring Viking" sub-leased to Thai. In Thai service this aircraft became HS-TGE "Srisuriyothai", and operated in hybrid SAS/Thai livery from May 17th 1962 until December 21st 1963. VARIG Brasilian Airlines became a CV990 operator by default only .... inheriting a REAL Aerovias order for 3 CV880's (later renegotiated for CV990's) when the 2 airlines merged during 1960. Upon realisation of the CV990's under-performance, and whilst both American Airlines, and Swissair successfully renegotiated revised contracts and compensation, VARIG flatly refused accepting its 3 aircraft modified to any standard less than Convair's original garunteed performance. This situation was never resolved until early 1963 when a series of CV990 proving flights were operated along VARIG routes. All 3 VARIG aircraft were finally accepted on March 1st 1963 and employed on the airlines Bogota, Lima, Los Angeles, and Puerto Alegre serivces from both Rio de Janeiro, and Sao Paulo. The 3 VARIG aircraft were also among those few built to pure CV990-A specification and remained in service with the airline until July 1971. 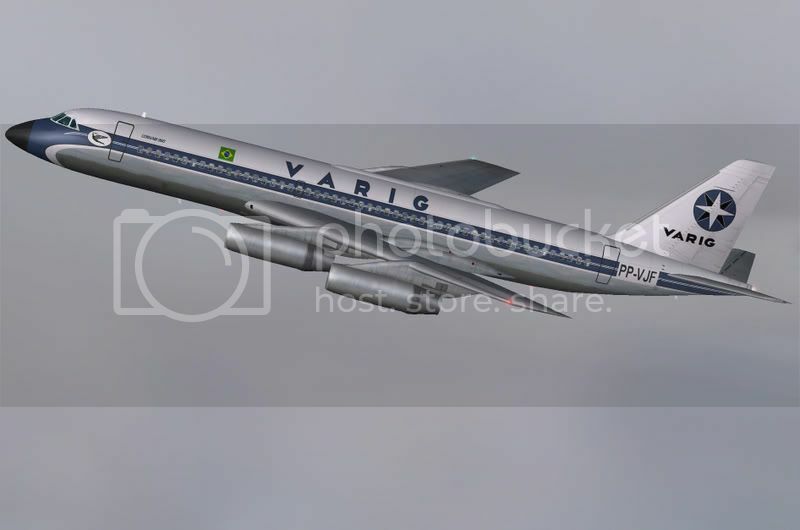 As a result of its 1965 takeover of Panair Do Brasil, VARIG also became the only airline in the world to ever operate a combined fleet of B707, CV990, and DC8 jetliners. Undoubtedly the most successful CV990 operations by a major scheduled carrier were those of Swissair which acquired a fleet of 8 aircraft between January 12th 1962 and March 27th 1966. In Swissair service the name "CORONADO" was popularised, becomming a synonym for the CV990 throughout the civil aviation world. 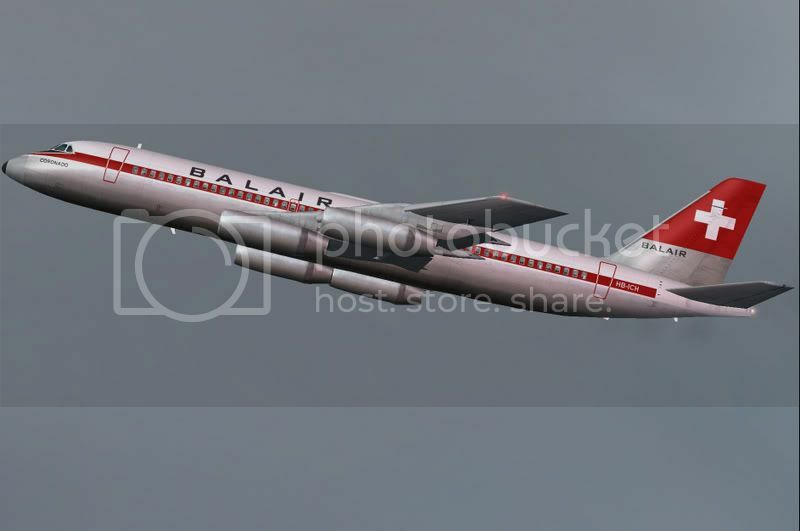 The airline also earned distinction for becomming the first in the world to place the CV990 into revenue service .... from March 7th 1962 .... featuring dual First/Economy Class accomodation for 100 PAX (later revised to 116 PAX). With aircraft deliveries delayed some 10 months pending modifications, the airline negotiated similar terms of acceptance to those already agreed between American Airlines and Convair. Swissair's CORONADO's were all delivered unmodified and progressively upgraded by the airline at Zurich. The airlines CORONADO fleet operated from both Zurich and Geneva to most European destinations, through the middle East to Asia, and to both African and South American ports. 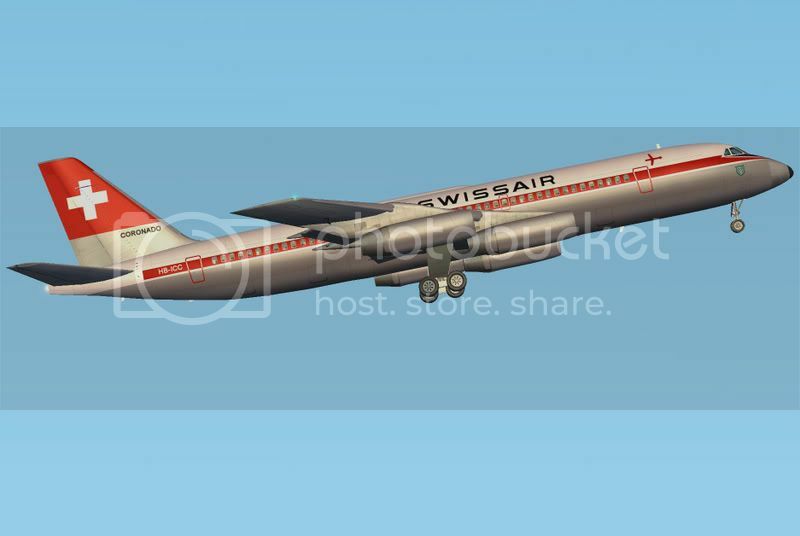 Swissair CORONADO's were also leased to Air Afrique, Air Ceylon, Balair, El Al, Ghana Airways, SAS, and Thai Airways International for various durations. 1 aircraft even operated a vatican charter during the 1969 papal visit to Geneva. The last Swissair CORONADO service operated Zurich/Nice on January 7th 1975 concluding 13 years of highly satisfactory CV990 operations. 1 of the airlines aircraft (HB-ICC "St.Gallen") was preserved and is today a rare and prized exhibit on permanant public display inside the Swiss Transport Museum at Lucerne. Between 1968 and 1974 Swissair charter subsidiary Balair also operated CORONADO's to holiday destinations throughout continental Europe, to the UK, and some Caribbean charters. These aircraft were reconfigured with a Super Economy Class cabin with capacity for 137 PAX. Of the 37 CV990's produced, 31 were delivered directly to airline operators whilst the remaining 6 aircraft (surplus to the original 1958 American Airlines order) were initially unplaced. These were eventually sold to other carriers, and aircraft brokers for onward leases from 1963. 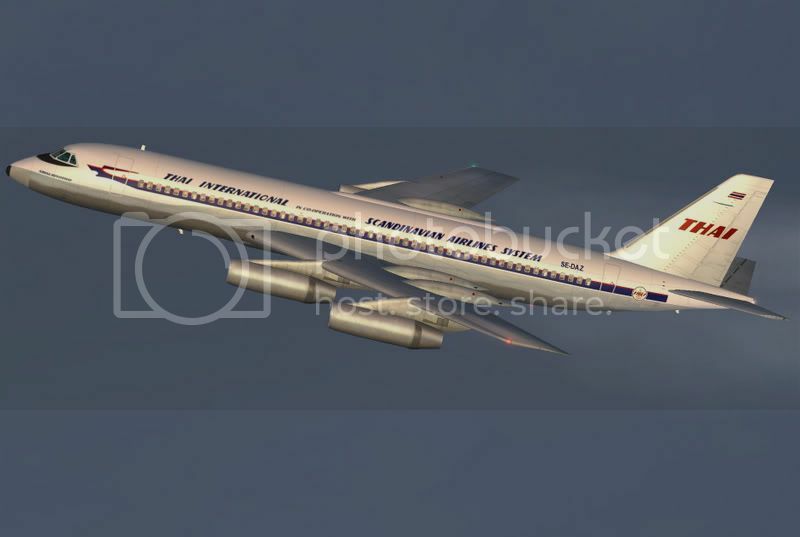 Garuda Indonesian Airways took delivery of 3 surplus CV990-A's between September 3rd 1963 and January 24th 1964 .... the airlines first jet equipment. 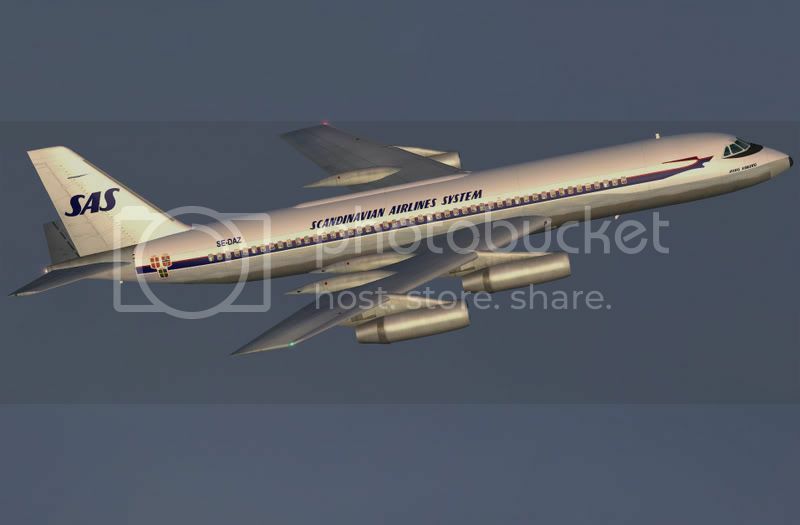 These operated the airlines "Emerald" services from Jakarta to Amsterdam, Bankok, Bombay, Cairo, Hong Kong, Manila, Melbourne, Perth, Rome, and Sydney until 1972 when they were eventually replaced by DC8's. 2 surplus CV990-A's were also acquired by aircraft broker F.B.Ayer & Associates and leased to Aerolineas Perunanas. The first aircraft was delivered to the airline on November 15th 1963 .... ushering APSA into the jet age. A 2nd aircraft was similarly leased from February 1st 1965, followed by a 3rd formerly Northeast Airlines CV990 during June 1968. All 3 aircraft were operated on lease-to-purchase contracts and configured for 119 PAX. Based from Miami, APSA's CV990 fleet serviced Asuncion, Buenos Aires, Bogota, Guayaquil, La Paz, Lima, Los Angeles, Mexico City, Montivideo, Panama, Rio de Janeiro, and Sao Paulo. 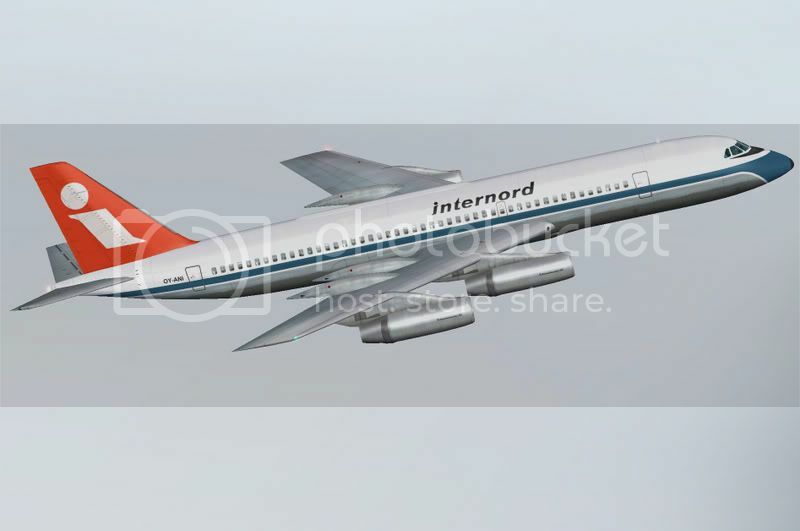 During 1968 the airline also attempted pentrating European markets with a leased DC8-50 but ran excessively into debt. APSA was forced to shutdown during August 1973. The remaining unplaced CV990-A airframe (originally "Ship One") was eventually acquired by NASA on November 17th 1964. This particular aircraft (N711NA "Galeleo") became an airborne scientific laboratory/research platform modified with additional viewing ports along its upper fuselage, along with a host of high tech recording/data processing equipment installed inside its main cabin, and had capacity for up to 30 scientists. The aircraft operated from the AMES Research Center at Moffet Field California between 1964 and 1973, flying a variety of scientific research missions ranging from the observation of solar eclipses to other more advanced atmospheric research. Between June 1973 and May 1975 a further 2 CV990's passed through NASA ownership. The last of these (N810NA) was extensively modified during 1988 to undertake developmental work in support of the Space Shuttle program and was eventually retired from service on August 11th 1995. The need to modernize in order to remain competitive saw Lebanese International Airlines lease 2 CV990's from American Airlines. 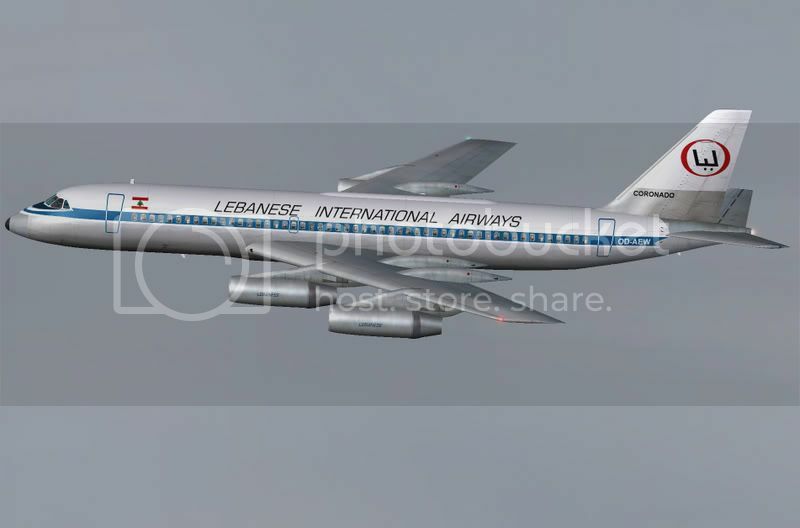 LIA's first CV990-A was delivered to the airline on October 19th 1965 followed by a 2nd aircraft on February 21st 1966 .... becomming LIA's first jet equipment and operating from Beiruit throughout the Middle East, and to European destinations. LIA was suddenly forced out of business when both its CV990's were destroyed during an Israeli ground attack on Beiruit International Airport on the evening of December 28th 1968. Also leased from American Airlines was a fleet of 6 CV990-A's operated by Middle East Airlines. Delivered between June 1967 and March 1972, these briefly operated MEA's "Ceder Jet" services from Beiruit to Ankara, Aman, Cairo, Copenhagen, Frankfurt, Geneva, Instanbul, Milan, Paris, Vienna, and Zurich. Despite lease-to-purchase contracts MEA traded all 6 CV990's back to American between December 1970 and March 1972 in favor of B720-B's. Northeast Airlines became 1 of only 2 airlines to ever operate both Convair jetliner types when it leased a CV990-A from F.B.Ayer & Associates. 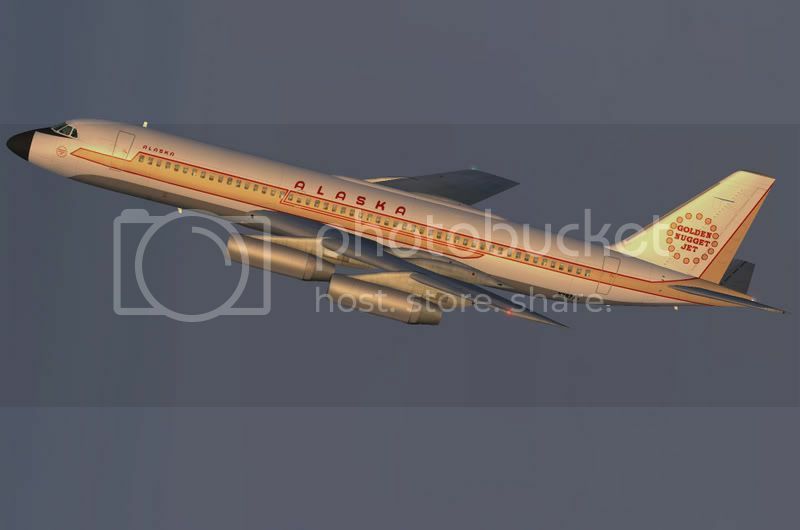 Named "Flagship Rita", and operated in the airlines definitive "YellowBird" livery, this particular aircraft flew exclusively New York/Miami services between January 20th 1967 until April 30th l968. The only other carrier to operate both Convair jetliners was Alaska Airlines, which purchased an ex VARIG Brasilian Airlines CV990-A during May 1967. This aircraft operated the airlines "Golden Nugget" services until March 1968 when it was leased to Aerovias Ecuatorianas. Operating in definitive AREA Ecuador livery, the CV990 serviced Asuncion, Bogota, La Paz, Miami, and Montivideo from Guayaquil until October 1969. 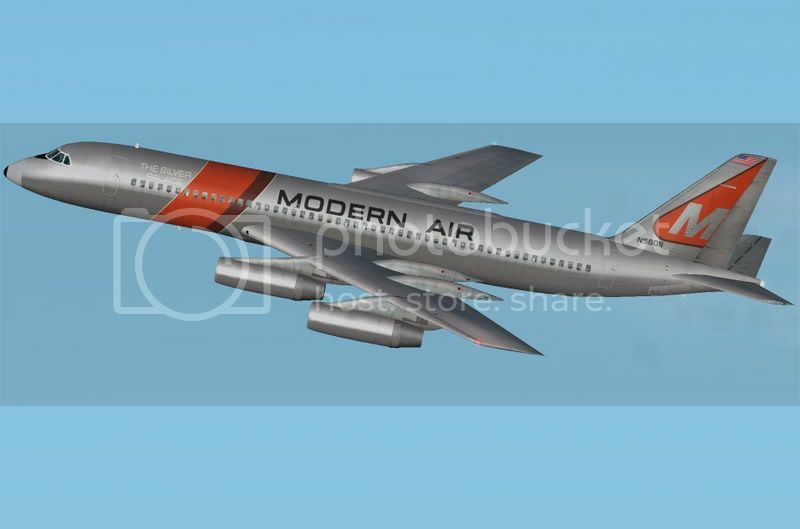 Charter airline Modern Air Transport (owned by Gulf American Corporation) purchased 5 CV990-A's from American Airlines. These were delivered between January 4th 1967 and February 1st 1968 each configured for 139 PAX (later increased to 149 PAX). Modern Air's first 2 CV990's entered service in the airlines original natural metal "Silver Palace" livery. Between March 1968 and July 1971 the airline purchased another 5 CV990-A's from both American, and VARIG Brasilian Airlines .... by this time boasting the worlds largest CV990 fleet. Based from Miami these aircraft operated charters between the states of Florida and Arizona for prospective investors in Gulf American Land Corporation development projects. Tourist charters to other North and Central American holiday destinations were also undertaken, and during the late 1960's the airline commenced trans-Atlantic charters from Montreal. Some aircraft were also later based in West Berlin/Tegel, servicing the European continent and destinations as far afield as Bankok, and Johannesburg. Possibly the airlines greatest exploits were 2 around the world trans-polar luxury charters during 1968 and 1970. These saw a CV990-A (N5612 "Polar Byrd 1") become the first civil jetliner to use the ice runway at McMurdo Sound Antarctica, and Modern Air the first US airline to operate a charter to the then Soviet Union. A change in parent company management and associated philosophy during 1971 saw the airline base all services from West Berlin and resulted in a major downturn in prosperity. From 1972 Modern Air was forced to seek "Bankruptsy Protection" .... loosing all its lucrative package tour trade as a result. Limited US based services were reinstated during 1972 but all European operations ceased from 1974. The CAB finally cancelled Modern Air's operating license on October 6th 1975 when Gulf American Corporation declined investing any further finance in the carrier. For 20 years CV990's were both the workhorse and a fleet icon for Spanish charter carrier SPANTAX. The airline began modernising with jets during 1967 when it purchased 2 CV990-A's from American Airlines .... delivered on February 19th and May 5th. A further 8 ex American aircraft were acquired between January 29th 1968 and May 8 1972, followed by 4 ex Swissair aircraft delivered between April 5th and June 7th 1975 .... SPANTAX having by this time accumulated what ultimately became both the largest and last great CV990 fleet in the world. SPANTAX aircraft were all configured for 149 PAX and operated inclusive tour services between destinations within continental Europe, Scandinavia, and the UK, to both Baleares and the Canary Islands. Fast, strong, and classy .... in SPANTAX service the CV990 was affectionately regarded as "the Maseratti of the skies". Although the oil price shock of the early 1970's imposed reductions in cruising speeds to promote fuel economy it also resulted in significant range improvemments. From 1981 the airline began the innevitable withdrawal of its CV990 fleet. In attempt to remain economically competitive DC8 & DC9 equipment were introduced. The last SPANTAX CV990 service was operated by EC-BZO during March 1987 .... finally concluding the worlds longest and most successful CV990 operations by a charter airline. 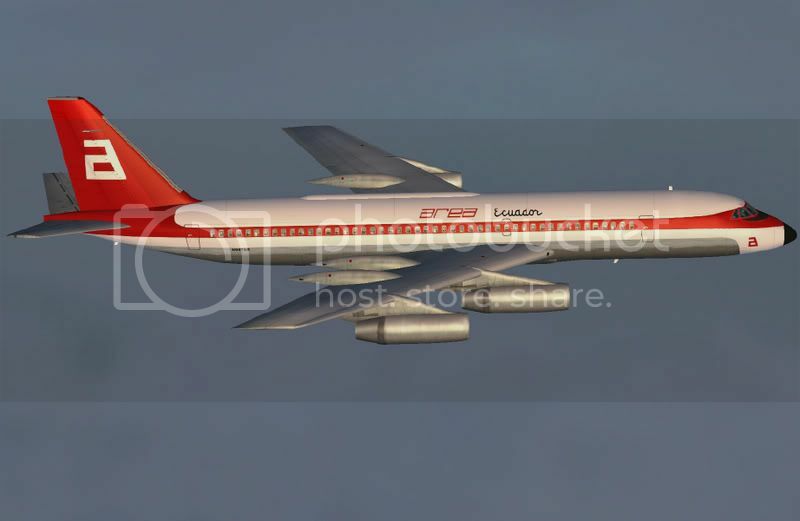 As occurred with redundant CV880's, travel clubs and tour operators around the world soon took advantage of the availabiity of ex airline CV990's from the late 1960's in order to transition into the jet age .... some for the better and others for worse. Danish charter operator Internord leased 3 CV990-A's from American Airlines. Its first 2 aircraft were delivered on June 23rd and December 12th 1967, followed by the 3rd on March 10th 1968. All 3 aircraft operated inclusive tours/charters throughout Scandinavian and Mediterranean regions, and to the Canary Islands. Internord's financial difficulties forced American to repossess all 3 aircraft on October 30th 1968 and the subsequent demise of the carrier. 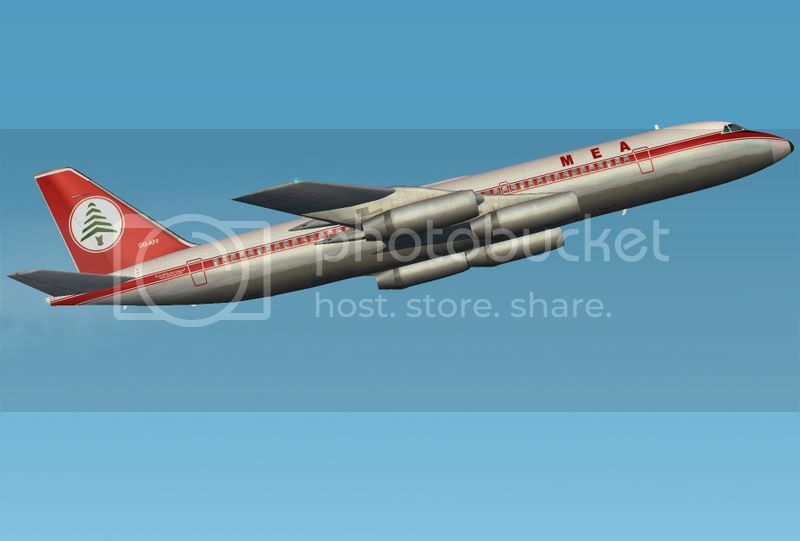 In celebration of its 10th anniversary, Nomads Travel Club purchased an ex Modern Air Transport CV990-A on August 1st 1975. This aircraft operated Caribbean and around the world charters, along with other excursion trips for club membership until 1981 when it was replaced with a B727. Among less common charters flown by CV990 aircraft were gambling excursions operated by Consolidated Components/Galaxy Airlines. Aquiring a single CV990-A on March 16th 1984 the company operated from Fort Lauderdale to both The Bahamas, and Reno until 1985. The same aircraft (N990E) was also later acquired by El Paso Texas based Christ Is The Answer during 1990 for intended missionary flights to Africa which never came to fruition. 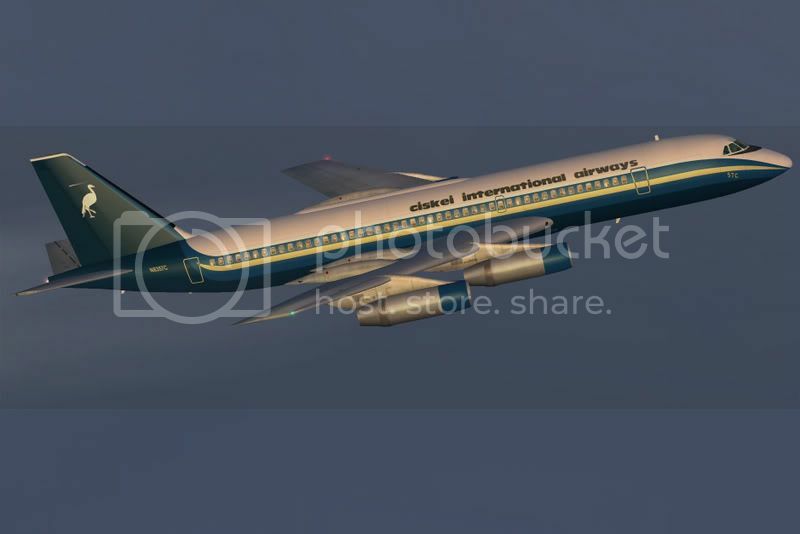 The worlds last ever civil CV990 service was operated during 1988 by shortlived Ciskei International Airways .... a US registered carrier and airline of the independant Central African state of Ciskei. 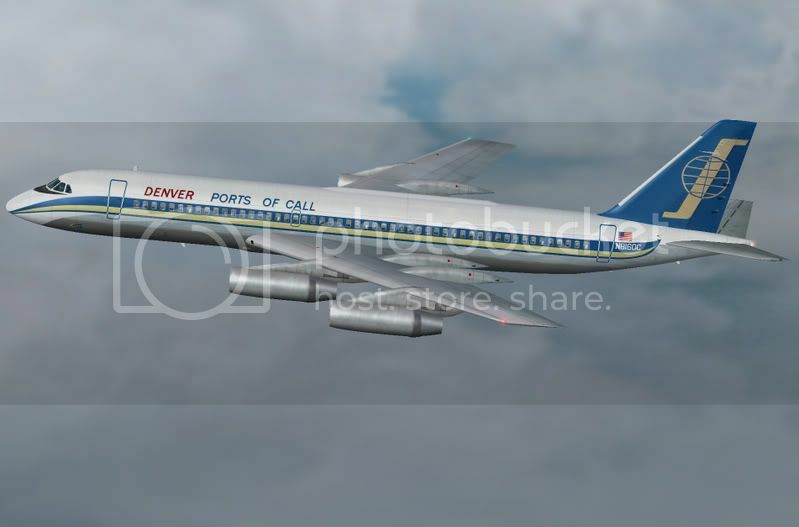 Acquiring an ex Denver Ports Of Call CV990-A (N8357PC) on January 16th 1988, the airline operated a single proving flight to Johannesburg but failed to obtain an operating licence and never became commercially airborne. Of the 37 CV990's built less than a handful remain today .... either preserved as prized museum exhibits or retained in storage around the world still awaiting their final fate. The remainder having long since succumed to the scrap merchants. For General Dynamics production of the CV990 only inflated already huge losses sustained from its CV880 project to well in excess of $425 million by the time production ceased during 1962. Despite producing some of the worlds finest high performance military jets of the 1950's, Convair's jetliner project ( by comparason) was improperly managed, with little apparent concept of the cost of designing and marketing an advanced civil jetliner. Although a monumental commercial failure, the CV990 never-the-less earned a fine in-service reputation among pilots, PAX, and with those few airlines whom successfully operated this otherwise superb greyhound of the skies. The only other carrier to operate both Convair jetliners was Alaska Airlines which purchased an ex VARIG Brasilian Airlines CV990-A during May 1967. 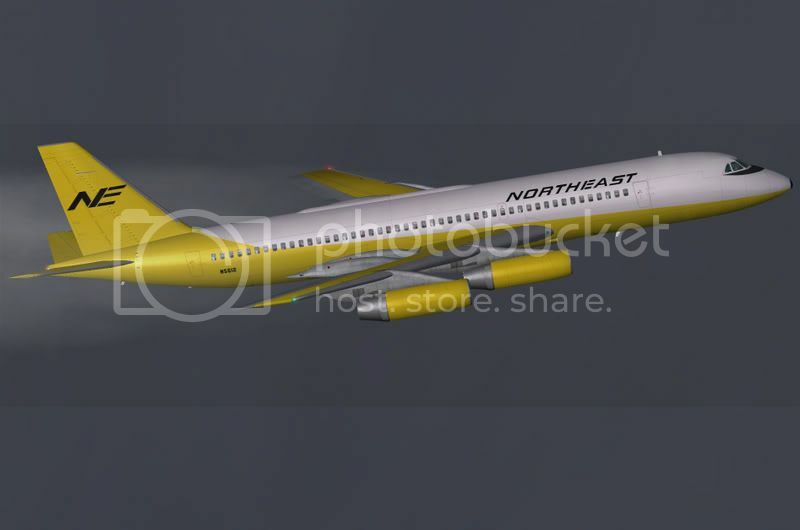 The key word there is "purchased" as Alaska was the only airline to actually OWN both the 880 and 990. Like part 1, bravo, fine and great article, Marc , interesant to know the history of this serie of planes of Convair and specially the details of his operators.Again, many thanks. To add: NASA's N711NA "Galileo" was lost in a midair, with a P-3C from VP-47, also based at Moffett Field NAS. On 12 April 1973. I believe there were 5 on the P-3C and 11 on "Galileo" that were lost. There was 1 survivor from the P-3C. A little American Airlines trivia concerning the CV990. While they were flying them on medium routes, one of the trips was from KNYC to KELP. The trip was run a couple times a week. Apparently the reason the trip was popular was people in New York were going to El Paso to get a "quickie" Mexican divorce. The flight number was American 69. Who says American doesn't have a sense of humor . Just updated the above CV990 feature too .... a few corrections made .... and other loose nuts, bolts, and rivets all tightened up a wee bit too. Always enjoyed the interesting and informative articles and accompanying screen shots of the HJG Aircraft History section. Recently I decided to do the Modern Air CV 990 flight to Mc Murdo Sound, Antartica. I departed Christchurch NZ, ( don't know if this was the actual departure point ) using GPS navigation. It was quite interesting to observe the response of the DG and magnetic compass as the flight was progressing and coming under the increasing effect of the magnetic south pole. Close to MMS the DG was reading 060 degrees even though I was flying in a southerly direction. Another point of interest was that there are actually two landing sites at MMS very close to each other, with one located over open water, ( FS9 always displays water that way). ATC vectored me in on a truly..... visual approach ( not even a VASI) to land on what appeared to be the more land based ice runway. Anyone attempting the landing from that direction (don't recall the runway numbering) must be prepared to keep some reverse thrust on continuously or you will end up sliding into the sea (the runway must have some slope to it). The other option, of course is to make the approach from the other direction. I would appreciate hearing experienses from other HJG pilots who have made this historic flight. For some unknown reason, I have a soft spot for the CV-990. It's a one-off, extremely unique aircraft with a mystique that makes it a favorite in my opinion. Really a shame it didn't make it like the Boeing and (McDonnell) Douglas types...but then it wouldn't have that mystique I don't think, if it had. Great article, great plane IMO...thanks! Hi: Only to add, that the only CV 990 (and CV 880) I saw ever really flying was Modern Airs one from Salz burg (LOWS). It was a spectacular view and hearing this elegant bird pulling brown thick smog behind accelerating to the end of the then shorter Runway. Thanks you have realized this gem. 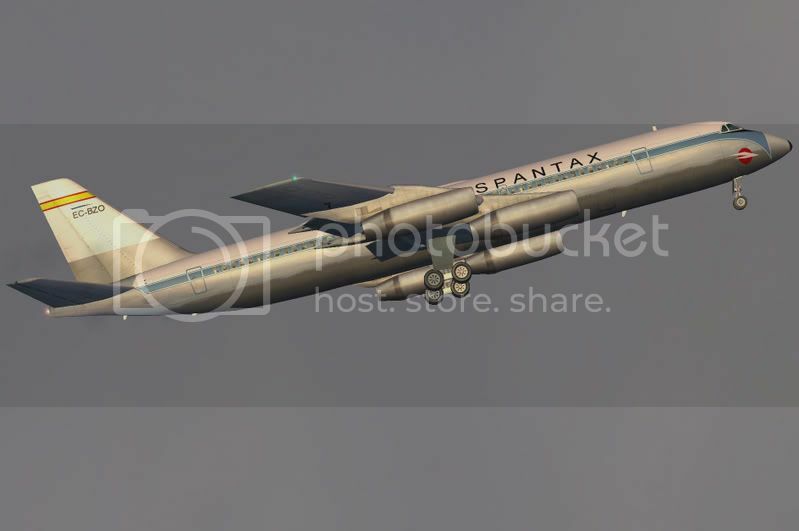 During a controllers strike in France a Spantax CV 990 and a IBERIA DC-9 collided in midair due to a controllers failure. 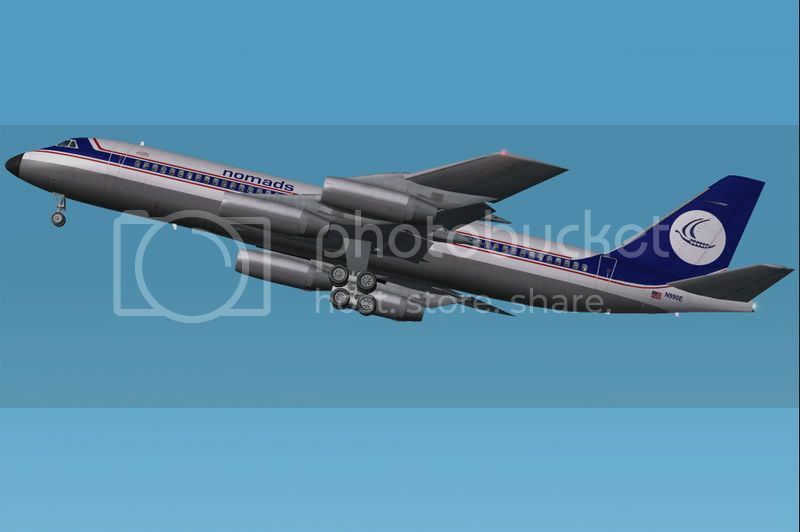 The DC-9 went out of control and everybody on board died, the CV 990 lost part of its wing but could land and nobody on board was harmed. Speaks for the pilots and the structure of the bird. That it was not easy to learn how to fly it confirm the 5 ships which were lost while on training-flights even ones of well known airlines. The last remaining CV 990 of Spantax is stored at an airbase in Majorca, they are working on a restoration of it. Just to add something regarding Ciskei International Airways: The Ciskei was a "homeland" state created by the old South African apartheid regime as a so-called independent state. It was never recognised by any other country, which is probably why the aircraft was US registered and (this is speculation on my part) why the airline never took off. Do you happen to know where the test flight to Johannesburg originated? N8357C, MSN # 24, was first delivered to AMERICAN AIRLINES (N5612 .... as a standard CV990) on April 9th 1962 .... entering service with the airline on April 17th 1962. It was modified to CV990-A standard by AMERICAN AIRLINES, at Tulsa/Oklahoma, and returned to scheduled service with the airline on June 18th 1963. It was then leased to NORTHEAST AIRLINES (N5612 "Flagship Rita") from January 20th 1967 until April 30th 1968 when it was returned to AMERICAN AIRLINES and placed into storage. 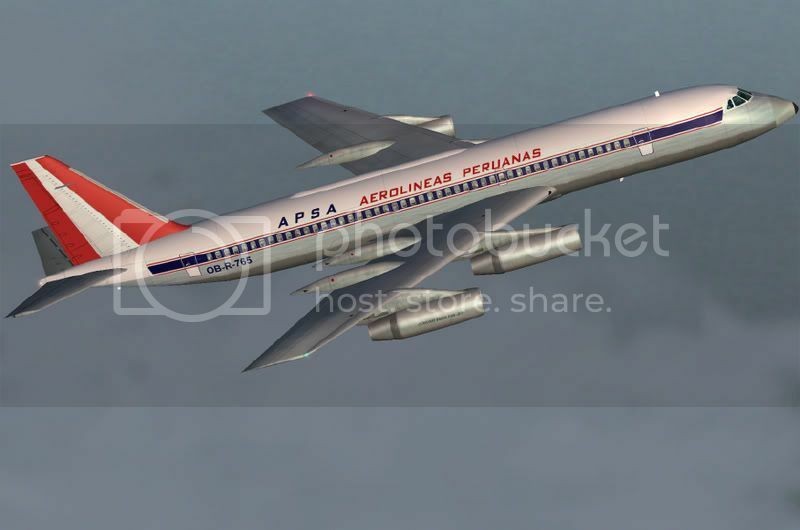 This aircraft was next leased to AEROLINEAS PERUNANAS SOCIEDAD ANONIMA (OB-R-925) from June 1968 until August 16th 1973 when it was repossessed from APSA (N6846) and stored at Marana/Arizona. Acquired by CALIFORNIA AIRMOTIVE on September 25th 1973 it was then sold to PORTS OF CALL DENVER TRAVEL CLUB (N8357C) on October 23rd 1973 with whom it operated until December 31st 1984 when it was withdrawn from service and stored at Marana/Arizona (total accumulated flying time = 27,652 hours/11,213 cycles). The aircraft was then sold to WESTERN CONTINENTAL HOLDINGS during October 1987 .... and leased to CISKEI INTERNATIONAL ALWAYS (N8357C .... effectively an American operator) .... and was delivered to Bisho/Ciskei via Miami on January 16th 1988. It only ever operated a single pre-inaugural service for CISKEI INTERNATIONAL .... from Bisho to Johannesburg .... and was "parked up", at Johannesburg, through the airline not being able to secure civil operating licenses/certificates. During September 1988 it was sold to TRANSAV INC (N8357C) and flown to Ostend/Belgium on September 9th 1990 .... where it remained until September 1991. It was then sold to GRECO AIR/David TOKOPH (N8357C) and ferried to El Paso/Texas .... where it remained in storage until around 1999. 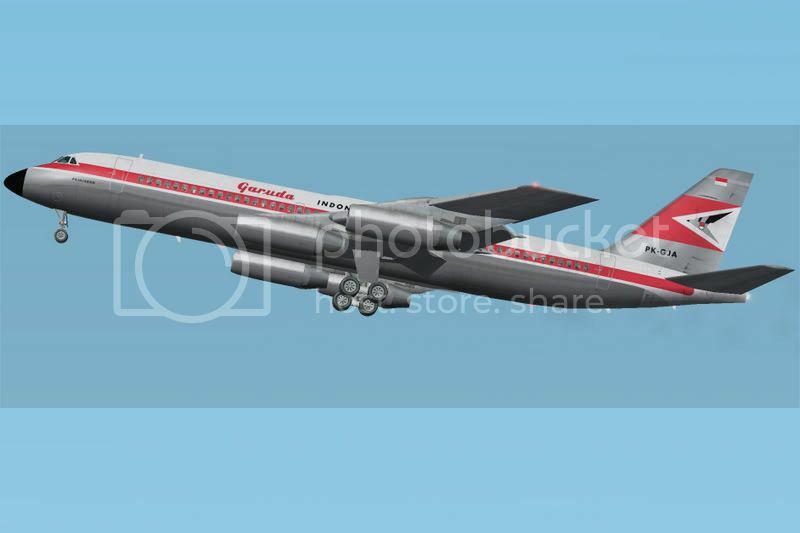 I understand this aircraft may, since, have followed the fate of many a good CONVAIR aircraft before it and been "broken-up"
Quite a history there. You're a mine of information! I wonder if this is the only Convair 990 ever to fly in South Africa, or any Convair jet for that matter. It might also be the largest ever commericial ailiner to have landed at Bisho. That airport "operated" for a long time without any flights with full staffing, all equipment on, etc, as part of the policy that Ciskei was an independent state with its own capital, airport, airline, etc. Very expensive I'd imagine! Again so far as I'm aware .... it probably was the only CV990 to ever have been based in Africa, but, not the first to have operated there. I think SWISSAIR routing took their aircraft to North African ports. 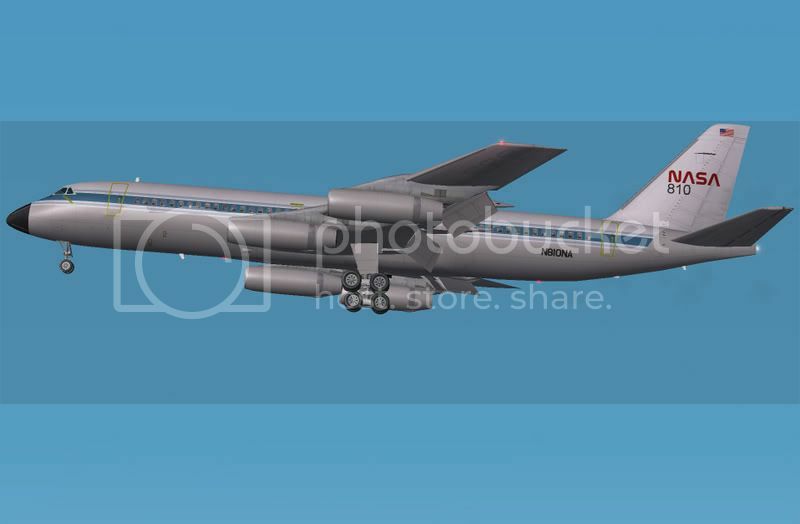 I should, perhaps, also have added (above) that there was another connection between the Republic of Ciskei and Convair jetliners too.